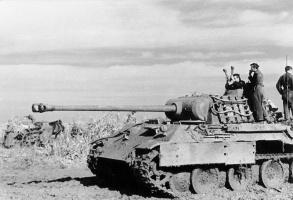 This famous tank was produced from January 1943 through April 1945, with a total of 5,796 vehicles built plus eight vehicles built on the F series chassis. 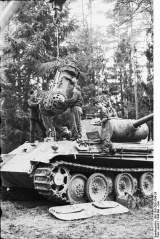 Upon reaching the Panther, you will quickly find that the inherited sniper playstyle still applies. 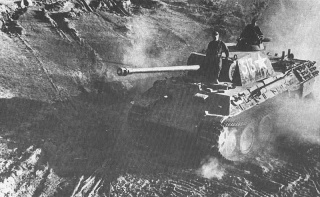 At stock, the Panther is armed with the 7.5 cm KwK 42 L/70 which, although a bit low on damage, has sufficient penetration and accuracy for its tier. 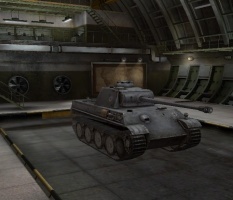 Its lack of firepower, added to the weak hull sides, make this tank an easy victim in firefights. 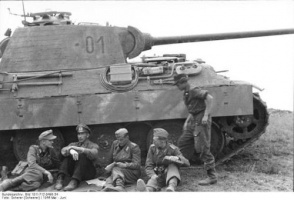 Once the Panther is fully upgraded and sporting the long, accurate 7.5 cm KwK 45 L/100, it's one of the best sniping tanks in tier. 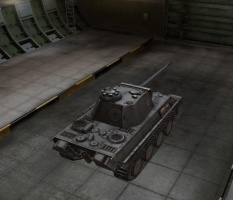 While it has a low damage totals, and a fairly slow rate of fire for a 75mm gun, it can penetrate virtually all lower tier tanks from any range, as well as higher tier opponents with well aimed shots. 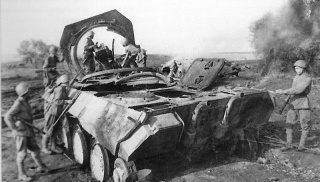 The Panther shines as an excellent mobile-sniper, but should never see frontline combat, unless you like seeing your tank in flames. 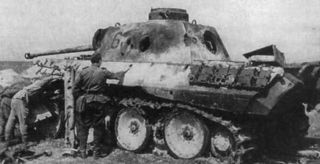 The things one should avoid while playing any panther (specifically this tank but also applies to the VK 30.02(m) and Panther II) are any type of brawling, trading fire with any tank especially when not at the top of the list, leading the attack, and circling targets like other mediums often do (can be done to a few select tanks but, due to sub par turn rate and low speed maneuverability, should be avoided by less experienced players that do not know the exact timing to execute the maneuver). There is one brawling tactic that may work but is again risky and should only be done in self defense; facehugging an enemy can be successful due to the angles increasing and the enemy being denied any good shots at the lower glasis plate. Just be advised what the opponent is and most of all make sure every single of your rounds connects or the great 8.8 patch DPM will not get you out alive (hitting weakspots at point blank range is no problem, and with it even the strongest turrets can be penetrated with careful shooting to cupolas or hatches). The recommended way to use this tank is, like its predecessor, is to hang back and take a supporting position. 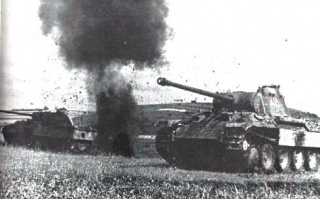 Unlike the VK 30.02 (M) however, the Panther is much more dangerous as a sniper because of the final L/100 gun. The L/100 offers consistent penetration and can stack up a serious amount of damage if you keep the Panther out of harm's way. 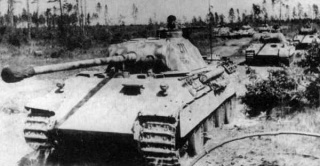 While the alpha damage per shot is not particularly threatening, the rate of fire and the accuracy of this gun lets the Panther deal a steady stream of damage to its victims. 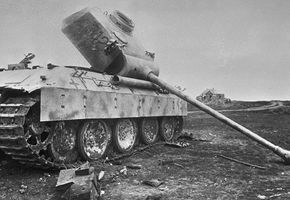 More often than not the Panther's victims fail to realize it was this tank that chipped-off most of their HP until it is too late. 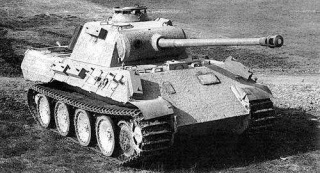 The Deadeye skill is particulary effective on the Panther; causing fires, injured/dead crewmen, and ammo-rack detonations a bit more often than most tanks. 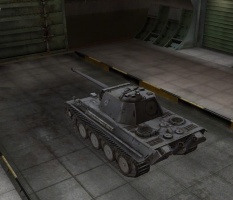 According to many people it is one of the best, if not the best tier VII sniper tank in the entire game, due to the very high penetration (capable of going through many tier IX tanks without APCR), very good accuracy, good DPM (8.8 added a massive boost to rate of fire), and respectable mobility (allowing for decent relocation especially once the enemies get too close). Also as an added benefit this is one tank that perhaps never needs to have a single APCR round loaded at all, due to 198mm of penetration being overkill on anything that is not a tier VIII heavy or a tier IX tank. The only real downside to this gun is it has trouble knocking off tracks at any angle other than sideways; but with that said it is a minor inconvenience compared to everything else it is does well. * The 7,5 cm Kw.K. 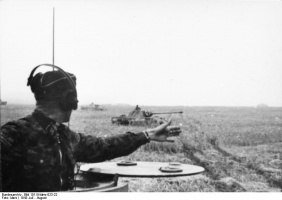 L/100 gun was merely a proposal by Adolf Hitler. It was neither designed nor developed. 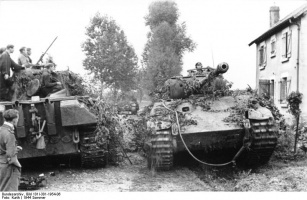 From February 1943, all German armoured vehicles were painted in dark yellow. 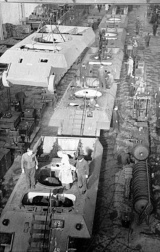 The standard base colour was changed to dark green in November 1944. 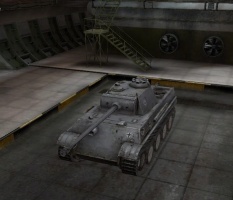 In World of Tanks, however, the Panther is in early Panzer Grey. This page was last modified on 9 April 2019, at 12:33. This page has been accessed 53,976 times.